Create a soothing mood while honoring American ingenuity and craftsmanship – our Custom Ceiling Lighting is built in the tradition of the Arts and Crafts movement and will bring authentic composition to any room. 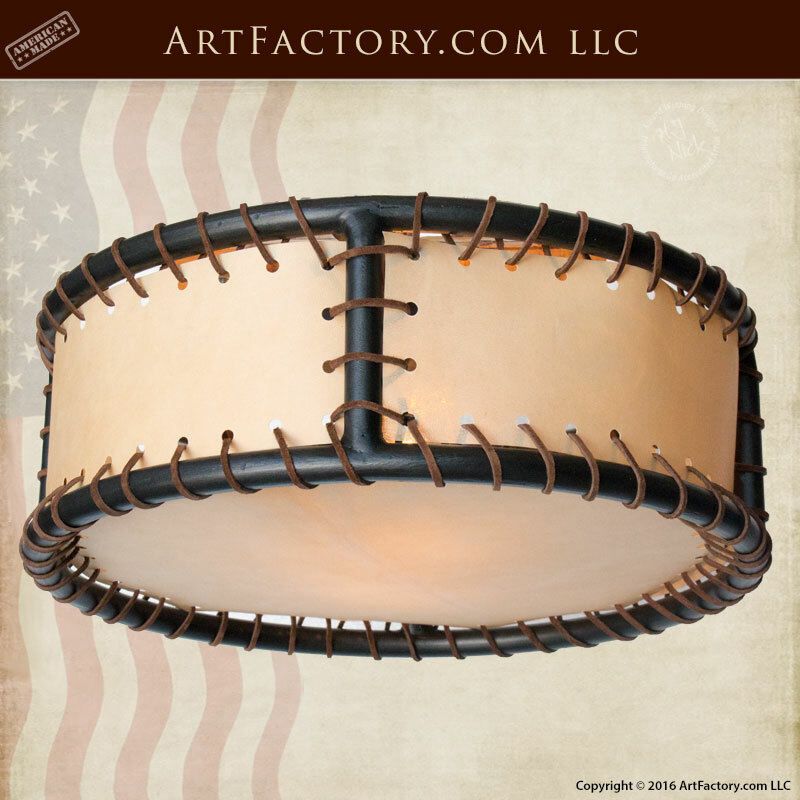 Each custom made light fixture features genuine rawhide that is hand laced to a solid wrought iron frame. The heat applied oxide patina finish means your UL listed light will never fade or rust. The American Arts and Crafts movement was a direct response to the industrial revolution and what many considered to be the loss of value for real hand work. Artists and architects emphasized simple forms with natural materials that were all made by hand, not machine. The movement remained popular in America into the 1930s, with various revivals since then. All lights from our craftsman collection are built by real blacksmiths with solid wrought iron – no fake metal or castings. Each piece is hand-hammered and finished with a heat patina to ensure your custom hand forged lighting will continue to beautify with age. Our rawhide is designed to create the perfect ambiance so there?s no harsh light on you or any of your decor.